In preparation for the 2012/13 Premier League season, Swansea City’s kit manufacturers Adidas opted to make a slight deviation from the club’s most traditional colour combination, choosing to partner their invariant white canvas with a trim not black but instead gold. That seemingly innocuous aesthetic choice lends a hand to the absurd theory that perhaps those responsible for the kit design knew long before anybody else just what the season held in store for the Swans and the new recruit who would lead them to historic heights. After their impressive young manager Brendan Rodgers was successfully plucked by league rivals Liverpool in pre-season, the Swansea hierarchy swiftly replaced him with legendary Dane Michael Laudrup, who set about preparing for the impending campaign by making the necessary squad alterations required to make the team feel as though it were rightfully his. It was a multi-faceted process that involved the initially underwhelming signing of Spanish forward Miguel Pérez Cuesta, better known as Michu, from Rayo Vallecano for around £2m. Fast-forward four months into the new season and having just witnessed Michu score his ninth and 10th Premier League goals in just his 15th appearance – a double that secured an astounding 2-0 victory away at Arsenal – it was fast becoming abundantly clear to Laudrup that he had stumbled upon a mercurial maestro in Michu. It was certainly no accident, Adidas adding gold to Swansea’s kit. In reality, the manufacturers had made the alteration as a nod to the club’s centenary year. Nevertheless, a coincidence though the timing of their suitably heraldic colour change may have been, the player Swansea had prized away for a pittance from the centre of Spain would soon prove to be worth his own weight in gold. Michu’s not-so-agonising wait for his debut goal in Swansea colours lasted for all of around eight minutes. Far from his most convincing strike – a speculative effort from the edge of the box that squirmed fortuitously through Robert Green’s outstretched palms – his first started the ball rolling, so to speak. By the time the referee’s whistle had called an end to his inaugural Premier League appearance, the ball was already revolving at breakneck speed. His second successful strike of the afternoon was everything his first wasn’t; precise, composed and sumptuous. As the advancing Wayne Routledge slotted the ball into Michu’s path, Swansea’s number 9 opened his body up and with his first touch guided the ball with a deft left-footed curler into the top corner of the QPR net. In honour of his brace, the delirious Swansea fans were granted a first glimpse of a celebration they would come to know intimately by the season’s end. 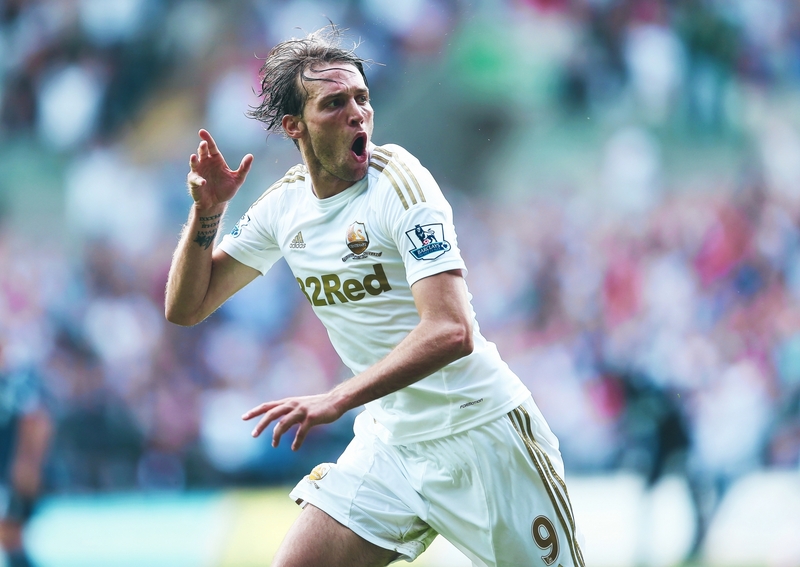 After almost every goal, Michu would raise his right hand to his ear, quickly twisting it forward and back. This was a celebration he had first deployed while playing in his native Spain. While playing in Spain’s second tier for Celta Vigo, in 2011 his side took on Granada in the promotion playoffs. Despite scoring the first leg’s only goal, the second leg took the tie to a penalty shoot-out during which Michu failed to convert his spot-kick. His miss lost the game for his team. In the following season, Michu found himself facing Granada again, this time in LaLiga, having followed Granada into the country’s top tier by transferring to Rayo Vallecano. In the game’s warm-up, Michu could hear the Granada fans mocking him, pleading with him to take another penalty against them, believing he would miss it again. Instead, just as he had done before, Michu scored the game’s only goal and in celebrating his winning strike instinctively lifted his hand up to his ear to listen out for the Granada fans’ abuse. Only now they weren’t so willing to berate him. Michu’s hand-to-ear celebration became something of a habit, a gesture he continued to perform even after leaving Spain for Swansea. “I still like to do the celebration because it reminds me of my journey here,” he said. As it happened, many opposing fans on English soil would be made to join the Granada supporters in bearing witness to Michu’s trademark celebration. His double at Loftus Road was only the beginning. The following game, as his side hosted West Ham, he assisted the game’s opener before grabbing a goal of his own, anticipating a wayward backpass and stealing in ahead of the stranded goalkeeper to slot home Swansea’s second of the afternoon. 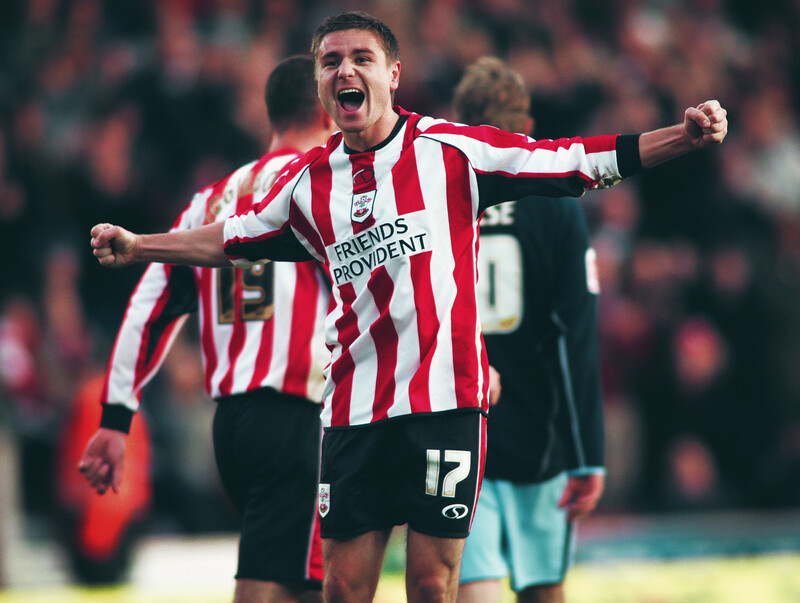 A week later he had another, this time a towering header that earned his side a point at home to Sunderland. September proved to be a testing month for Swansea – their draw against Sunderland quickly followed by three consecutive losses to Aston Villa, Everton and Stoke, losses Michu could do nothing to prevent. But the forward soon rediscovered his scoring touch in October and helped his team to four points from two games; an expertly dispatched diving header at Reading’s back-post that helped his side earn a point from 2-0 down, and another header, this time a glancing effort that met his side’s in-swinging corner at the near post, which gave his team the win at home to Wigan. As winter neared ever closer so seemingly did the Premier League golden boot upon Michu’s horizon. The goals flooded in. Another diving header, which helped secure a win at St James’ Park; a poacher’s tap-in during a comprehensive 3-1 victory at home to West Brom; a finessed double at the death to sink Arsenal away at the Emirates; two more in a tragic 4-3 loss at home to Norwich; an invaluable equaliser that held Manchester United to a draw at the Liberty Stadium. Come Christmas Day, as the likes of Robin van Persie, Luis Suárez and Gareth Bale all craned their necks to see the £2m angel sitting atop the Premier League goalscoring tree, Michu’s name had long since taken on a life of its own. The mononymous Spaniard, who largely remained an unknown quantity to the league and all its viewers until just months before, had not only witnessed his name enter the country’s footballing vernacular almost overnight but was also on hand to see it find use as some kind of makeshift barometer, a benchmark against which other Premier League signings would be consistently judged. With 13 Premier League goals to his name during 2012, Swansea fans beckoned the arrival of the new year, giddy with expectation. What further stunning salvos awaited Swansea while fronted by their scintillating Spaniard, they wondered. But just as the newly established pound-to-Michu exchange rate found increasing use across the airwaves, as the season wore on, so too did the efforts of the country’s defenders to shackle the season’s surprise package, making Michu’s task of replicating his early form nigh on impossible. Though his numbers dropped, it mattered little to he and his teammates as Swansea were yet to reach their season’s zenith. Goals in the return fixtures against QPR, Spurs, Norwich and Manchester United eventually took Michu’s league total to 18, enough to see him finish the campaign as the Premier League’s fifth highest scorer, on the way to securing a record ninth-place finish in the league for Swansea. Before the curtain should fall on their great season, though, history was to be made by Michu and co. in the League Cup. Early victories against lower league opposition in the form of Barnsley and Crawley Town had carried Swansea seamlessly into the last 16 of the competition, where a rendezvous with their recently departed ex-manager Brendan Rodgers stood between them and the quarter-finals. Few fancied Swansea’s hopes of progressing from Anfield with their cup dreams intact but Liverpool couldn’t contain the underdogs and an impressive 3-1 win enabled the Swans to take flight again as they headed into the next round. In the quarter-finals, Swansea faced Championship side Middlesbrough, against whom a hard-earned 1-0 win was rewarded with a two-legged semi-final meeting with Chelsea. In the four League Cup fixtures leading up to the semi-finals, Michu had just one goal to his name. Sadly for Chelsea, it appeared as though he had been saving his appetite for a more worthy course. When Chelsea’s stand-in goalkeeper Ross Turnbull played the ball out to his closest centre-back there seemed to be little danger facing the Blues. But after just one lazy touch from Branislav Ivanović, one keen interception from Jonathan de Guzmán, and one adept left-footed finish from Michu, Chelsea were 1-0 down. “The last person you want to give an opportunity like that to is this man, Michu,” the commentator roared. The visitors held on to their lead, even extending it in the closing stages through Danny Graham, before inviting Chelsea back to their place for the second leg. Two weeks later, in Swansea, the home team remained resolute, kept their clean sheet pristine, and booked for themselves a rare trip to Wembley. In the League Cup final, Swansea faced an opponent in the surprising form of fourth-tier Bradford City. The Bantams had themselves navigated a treacherous minefield of fixtures with bewildering success in order to arrive in the final; requiring the giant-killing of no less than three Premier League goliaths, each a whole three divisions above them. However, in true dichotomous fashion, typically tragic for Bradford and indescribably euphoric for Swansea, Michu and two of his capable collaborators were on hand to ensure the underdog’s journey ended a scene early. A harsh 5-0 read the Wembley scoreboard when the last blast of the ref’s whistle sounded. A certified rout. Dyer, Michu, Dyer, de Guzman, de Guzman read the list of scorers, and just like that, after the kind of procession the whole city had shared dreams of the night before, after 100 years of football, Swansea had their hands wrapped around their first major trophy. What’s more, a daring European adventure awaited as their League Cup victory earned them an exclusive ticket to the following season’s Europa League competition. Michu ended the season with 22 goals in all competitions, almost three times as many goals as his nearest rival at the club. He was named Swansea’s Player of the Year, Supporters’ Player of the Year, and even earned a call-up to the national side, and with it the chance to win his very first cap for Spain, which he would do so against Belarus. Huw Jenkins, Swansea’s chairman, remarked at the season’s end that he believed Michu to be worth around £30m – a figure roughly equal to around, well, 15 Michus. Though its final came with some three months of the Premier League season remaining, with the sound of an army of Swansea fans singing his name, the taste of champagne on his lips, and the most deserved of medals draped around his neck, the League Cup, the first and still only trophy win of his career, provided the perfect silver lining to what was already destined to become the most golden of seasons for Michu. If the 2012/13 season had been almost dreamlike, the following year saw Michu abruptly woken up. 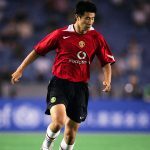 Recurring knee and ankle injuries hampered his season, sapping him of his abilities and leaving him powerless to prevent his manager and mentor Michael Laudrup from being sacked following his Swansea team’s dramatic downturn in form. Michu failed to regain his fitness fully, which in turn left his form of the previous season agonisingly out of reach, and eventually his time at Swansea came to end. Michu departed for Naples. A year’s loan at Napoli, he hoped, would enable him to find his best form again. Instead, he found only more chronic injury problems. By November 2015, his contract with Swansea had been mutually terminated and Michu’s sights had been firmly reset toward just one aim: rediscovering full fitness. By way of a fleeting spell with obscure Spanish outfit UP Langreo, who play their football in the country’s fourth amateur tier, in August 2016 Michu found himself back at Real Oviedo, the club he began playing with aged just eight-years-old, the team where it all began. 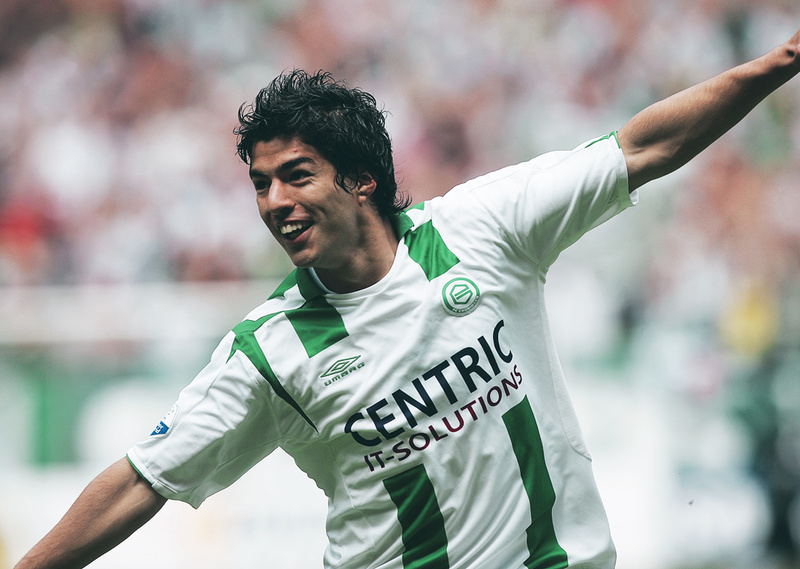 He stayed there for a season before retiring aged just 31 in 2017. Despite his premature end, one matter that isn’t up for debate is the pure majesty of his maiden Premier League voyage; the familiarity with which commentators so quickly came to announce Michu’s name as his team’s goal scorer on so many occasions; and the immortal impact he made on the people of Swansea during his unforgettable 15 minutes of fame. As the saying goes, the flame that burns twice as bright burns half as long. Depending on your interpretation of exactly what constitutes a career fulfilled, just how close to home that proverb hits for Michu could be seen as either his greatest fortune or his saddest tragedy.